From Crafts For All Seasons! 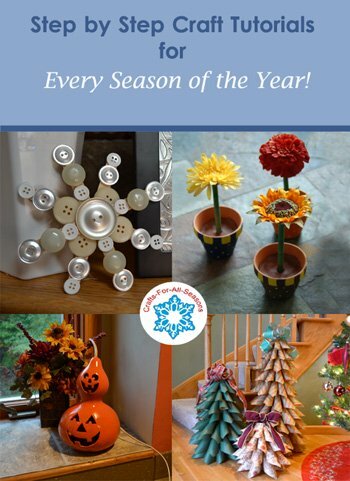 Welcome to Crafts For All Seasons! On this site you will find free craft projects for every season of the year and many holidays. I'm so glad you stumbled upon my craft site. My name is Karen, and I love being creative, and I love sharing and teaching others. And that is why this site exists. 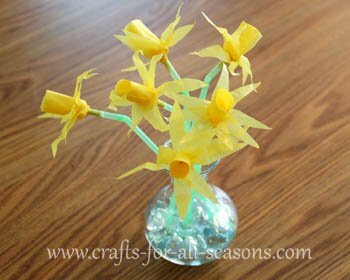 This site is very different from many other craft sites because I teach you, in very simple terms, how to make each craft. Each project on this site has easy step-by-step instructions, with many photos to help you along the way so you can visualize each step. I'm sure many of you agree that crafting is a wonderful hobby. Even if you haven't done anything "artsy" before, you can do these many of these projects with the help of the detailed instructions and photos. You can follow the directions exactly, or even better, use your own creativity to make them unique and your own. You will also get more help and suggestions from the comments that visitors leave under each craft project. Many of these crafts will beautify your home, and some make wonderful gifts. People love getting something where thought and effort was put into making it. To get started viewing projects, click on a season or holiday tab at the top of this page, and you will see different categories appear. If you are looking for crafts that are for an appropriate age group, you can browse that way. 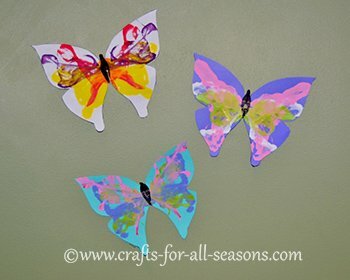 There are many craft projects on the Crafts For All Seasons website that are simple and easy. Many are perfect for kids, as well as some that are more complicated for people who would like to try something more challenging. Be sure to browse by age, the more complicated crafts are listed under "crafts for adults". Coming soon, I will be dividing crafts up into different categories based on the material used (such as wood crafts, sewing crafts, etc) and on craft types (snowman crafts, wine cork crafts), etc. So look for that coming out soon! There is also a search box at the top of every page, so you can search the entire Crafts For All Seasons website. If the keyword you entered appears as a craft on my site, you will see it come up first in the search results, followed by other crafts like it found on other places on the web. How about learning something new? Under the articles tab, you can check out various crafting articles. This is a great place to start if you have never tried a certain craft technique before, and some of the articles are written by top experts. You can even earn extra income by selling your work at bazaars and craft fairs! Check out the crafting for profit page for more information. Submit Your Own Craft, and Share the Love! 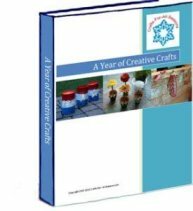 On each category page, there is a place where you can submit a craft of your own. Your craft will become its own page on this website, so you can show your friends and link to it. Submit your own craft, or just sit back and browse through other's contributions! Be sure to read through all the requirements first. Feel free to leave me any questions, comments, or suggestions on the crafts you see, using the Facebook commenting form, or by contacting me directly. I post frequently asked questions, and great suggestions from my visitors, right on the craft web page for all to see. You can also submit a photo of your finished craft and it will be added to the craft page. It is fun to see all the creative variations you all come up with! Interested in Purchasing My Crafts? Once in awhile I get asked if I sell the crafts on my site. Sometimes I do, and when I do, I put them on my Etsy store. Please visit and browse around. Please bookmark this website and check back often for new crafts, I update this site often. The three newest crafts are always pictured on the top of this home page. Another easy place to check for the new additions to the site is the Blog tab, or the What's New block on the right column, which is my RSS feed. Even better, sign up for my free quarterly newsletter, "The Creative Crafter". This free newsletter also keeps you informed of the newest crafts added, as well as a free craft that only subscribers get to see. 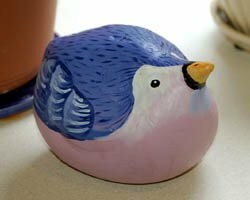 If you use Facebook, please become a fan of the Crafts For All Seasons Page and join my Google+ page, and you will find out all the new crafts as they are added to the site, and get to know other crafters. You can also follow me on Twitter, or visit my craft idea boards at Pinterest! I hope you enjoy Crafts For All Seasons, and I really appreciate you stopping by! My visitors mean the world to me, so thank you! So what are you waiting for? Let's get crafting!